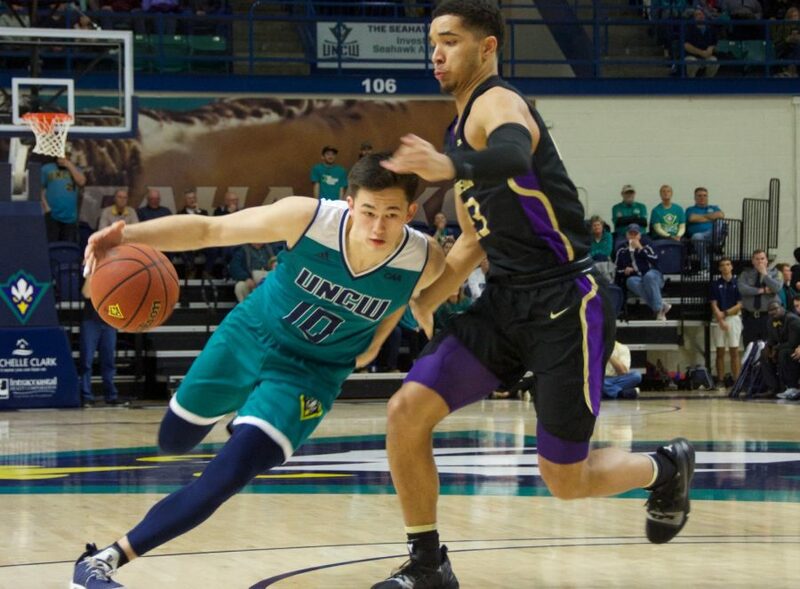 Kai Toews (10) attempts to break past a defender during UNCW's Homecoming matchup against James Madison on Feb. 2, 2019. 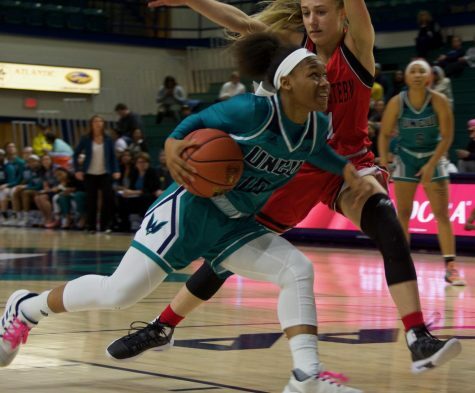 As part of Homecoming weekend, UNC Wilmington (8-16, 4-7 Colonial Athletic Association) played host to James Madison. 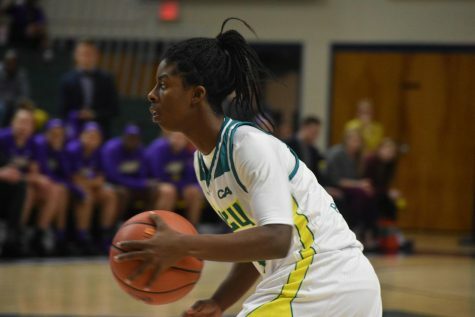 While the Seahawks were able to score close to the century mark, the efforts were not enough as the Dukes (10-14, 3-8 CAA) toppled the Seahawks 104-95. 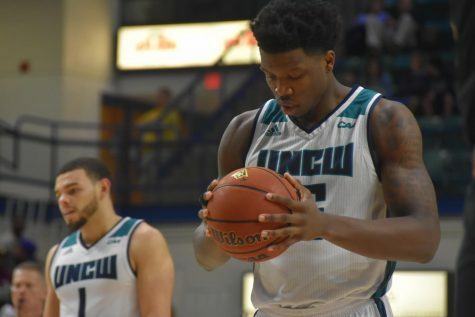 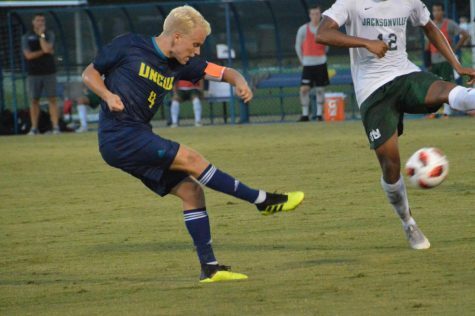 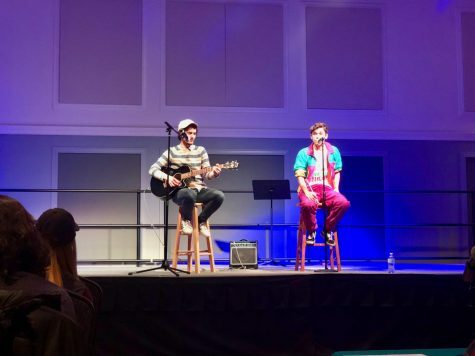 A potentially season-changing four-game home stretch, which gave UNCW a chance to drastically improve its CAA standing, has instead put the Seahawks second to last (above only JMU) after the Seahawks went 1-3. 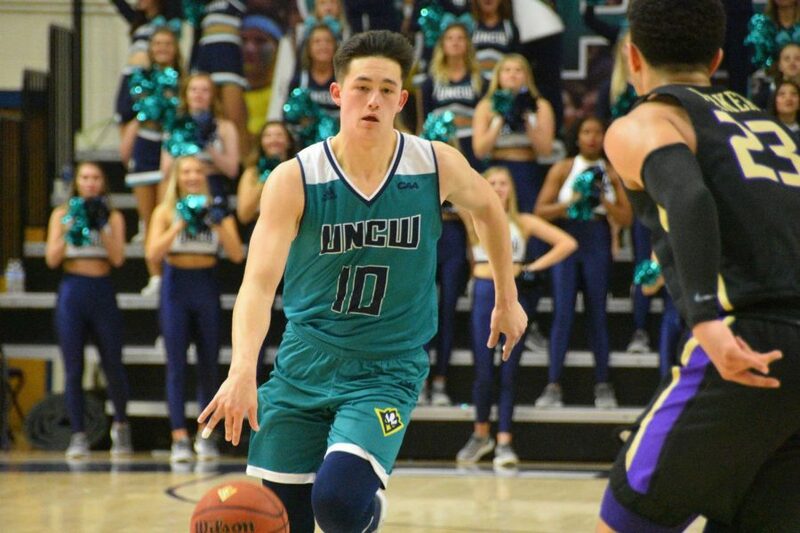 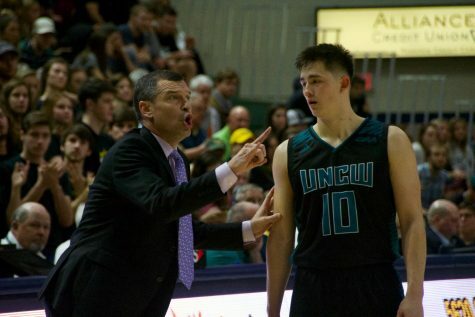 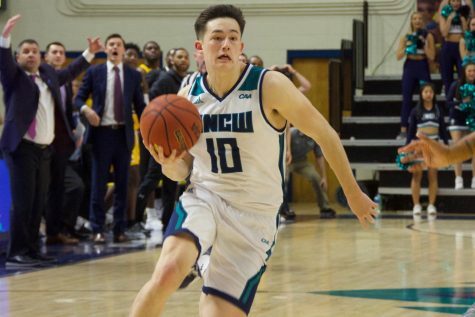 Kai Toews (10) during UNCW's Homecoming matchup against James Madison on Feb. 2, 2019.